While I am not a believer of judging a book by its cover, I do believe the value of first impressions. People, for the most part, are very picky in who they let in and even consider to befriend. Even a recent survey will attest to this. More people who create good first impressions are hired as opposed to those who did not quite make the cut. That said, it doesn’t hurt to consider giving the best first impressions. Of course, I will push that forward by making sure that you follow through beyond that best first impression. 🙂 And because skin is the largest organ of the body and most visible, our generation is blessed to have affordable all-in-one beauty cream like Maybelline Clear Smooth BB Cream to get that first impression thing covered. But then again, you ask, which BB cream is right for me? 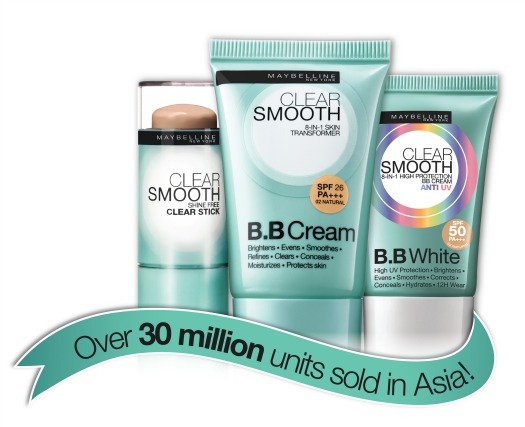 The Maybelline Clear Smooth BB collection now has three different formats in varying natural shades to perfectly suit the skin and lifestyle needs of every Asian woman. 1. 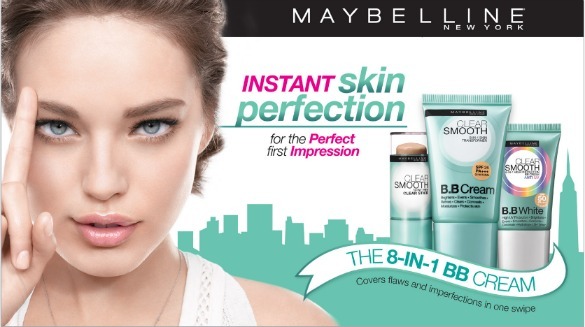 Maybelline New York Clear Smooth 8-in-1 BB Stick – is the first BB Stick with 12 hour anti-shine powder finish. Silky smooth in its application, it gives you a shine free powder finish every time. This comes in Fresh and Radiance shade and retails for P289. 2. Maybelline New York Clear Smooth 8-in-1- BB Cream – covers like foundation but doesn’t cake, protects like sunblock but isn’t sticky, and moisturizes like skincare without being oily. Comes in Fresh and Natural shades for only P259. 3. Maybelline New York Clear Smooth 8-in-1 BB White – conceals and protects-the ultimate sun protection for brighter skin in just one step. This also comes in Fresh and Natural shades. Retails for P299.